Originally appeared in The New Indian Express on January 1, 2011. Bangalore is abuzz with comic book entrepreneurs and Prateek Thomas and Dileep Cherian are the newest kids on the block. Friends from their mechanical engineering days, Thomas and Cherian teamed up in August 2009 to co-found their publishing company Manta Ray, in response to the “restlessness bug” (as Cherian put it) they both felt in their lives. For the last six months, the duo, along with artist Rajiv Eipe, have been quietly working to produce their debut comic Hush which was released on December 22. 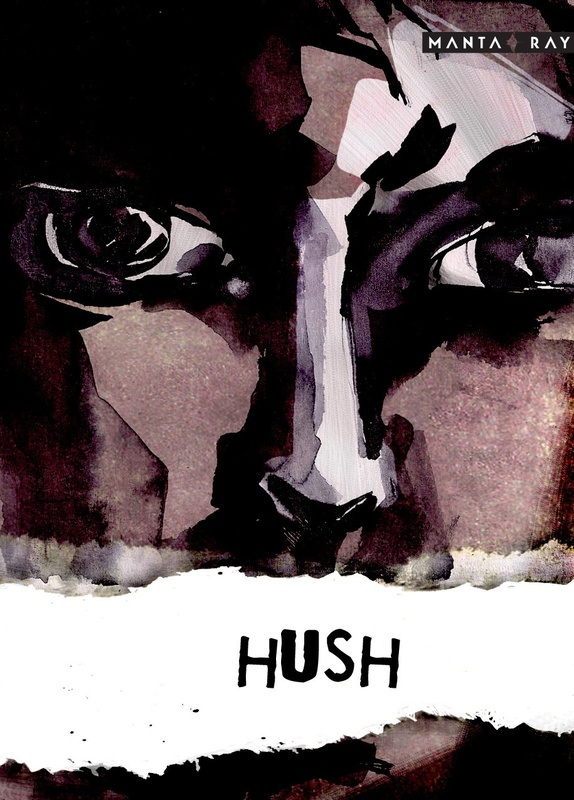 Hush is a short silent comic written by Prateek Thomas with art work by Rajiv Eipe. A rather dark story, the comic explores the themes of child abuse and violence with a twist at the end. It’s a decidedly adult story – even though its protagonist is a young child named Maya. The story opens in a classroom. The blackboard has been shattered by a bullet, a teacher lays slumped on the floor and Maya, grim and dark, holds the smoking gun. School shootings are not readily associated with India and Thomas agrees. “It’s more of a story teller’s device,” he contends but then points out the recent news items that brought light to the gun culture in India and the school shootings in Delhi. Although the concept is not entirely alien to India, Thomas contends that it is “the presence of American pop culture in India” that makes us associate school shootings with the West and more so with Columbine. The most memorable aspect of the story is Eipe’s visuals. 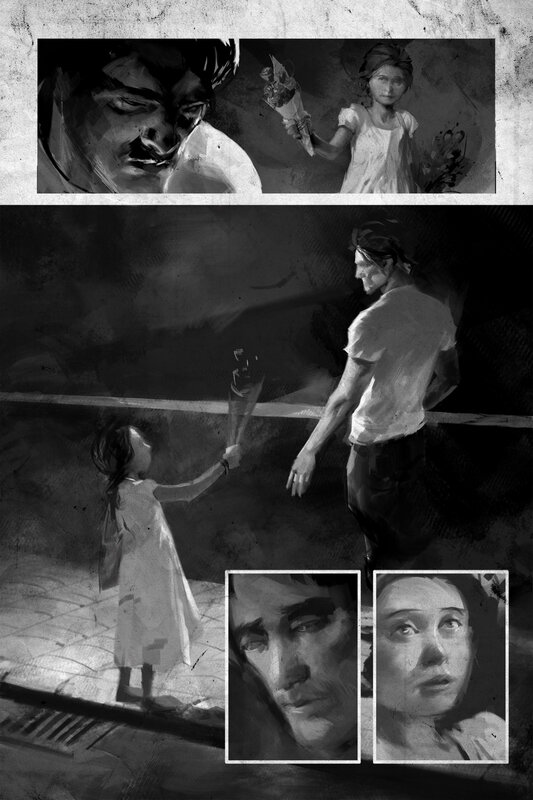 The grey tones are startlingly mournful making Maya appear as angsty as a teenage nightmare. To Eipe’s credit, he uses the grey-tones effectively to communicate time lapses and flashbacks. For example: every time Maya flashes back, the panel borders turn black; black signifying both the darkness of the event and the more visual clue informing the readers that we’re no longer in the present time. It’s one of those stories that will have you flipping back and forth as you connect the dots and make sense of the non-linear story line. Despite being pitched as a ‘silent comic’ there are plenty of words in the book itself. The first few pages contain dedications and a short excerpt written by Rahul Bhatia who speaks about the themes involved in the story. At the end of the book there are excerpts from the script as written by Thomas and used by Eipe to render the story. The idea behind including the script, says Thomas, was to show interested readers the process the duo followed while creating the comic. “As a writer, I never knew what comic scripts looked like,” Thomas confesses and so he thought it would be both educative and interesting for other fans to see what the process looked like and how much or how little the story was changed by the artist’s interpretation. Publicising the project on Facebook and other social media networks is almost a norm for indie-publishers and creators. So, Manta Ray duly set up their Facebook Page replete with updates, teasers and pictures of their project. However, they added one more interesting component to their publicity material: three short animated videos that act as trailers or teasers to the project itself. Rajiv Eipe did both the animation and sound design for the trailers, which are all under a minute. Priced at Rs.195, the comic is available only in print currently and can be ordered from Dial-A-Book at 09650-457-457. It’s also available at Landmark, Oddyssey and Reliance Time Out as well as Flipkart.com. 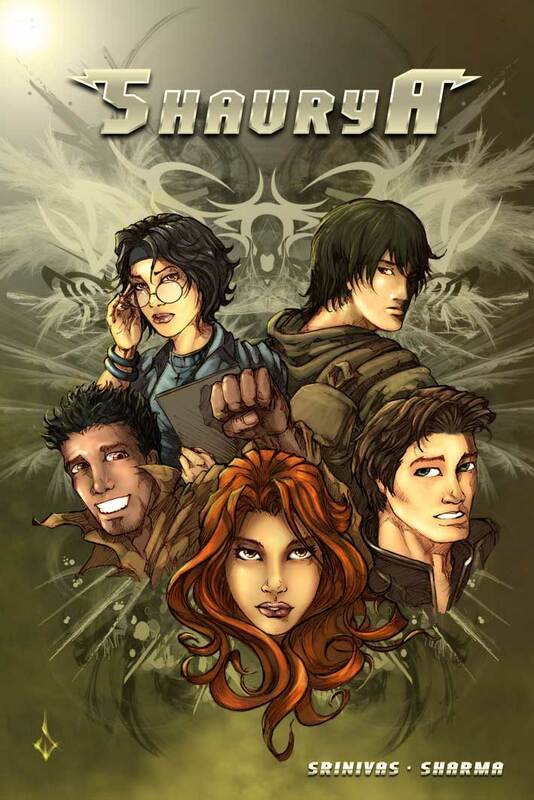 Manta Ray currently has a limited series of individual stories with no recurring characters in the works to be released in 2011 and aimed at young adults. ‘MISS MOTI’- Nepali artist blends Mithila art with modern storylines. Originally appeared in the New Indian Express on December 04, 2010. Not since Manjula Padmanabhan’s iconic Suki has a female cartoonist created such an endearing and enchanting character as Kripa Joshi does with Miss Moti. Relatively unknown and relegated to the murky realms of the internet, Miss Moti is a pearl waiting to be discovered. Startlingly flat and rich in colour, Miss Moti follows the travails of a Rubinesque woman whose fertile imagination transforms even the most mundane of her surroundings into a fantastical world of possibilities that blur the line between reality and imagination. . Miss Moti- as her name suggests- is a gorgeous, round pearl of a woman. sly surveys the lithe bodies around her. In contrast, the border is decorated with miniature hippos- happy, happy hippos, one might add- painted in gold lines as they wallow in the water, seemingly indifferent to concerns about their own body image. Speaking about the border art Kripa says, “I drew my inspiration from the Miniature Mughal Paintings where we often see a colourful intricate image surrounded by an equally intricate golden border filled with plants and animals. I was also intrigued by this idea of a dual story between the main central image and the border.” It was here that Kripa’s modern sensibilities collided with folk art and this collision resulted in her debut comic character, Miss Moti. Stylistically, the art is inspired from Mithila art- a form of folk art traditional to Nepal and Bihar. “The art is very flat,” Kripa explains. “It’s two-dimensional and has no horizons, no sense of perspective.” She was drawn to it also because of its decorative aspect and rich colours while at the same time she recognized the need to develop this indigenous art from and take it one step further. In terms of narrative, Kripa names Windsor McCay’s Little Nemo as her inspiration for creating the fantastical dream worlds that Miss Moti escapes to and Chris Ware for developing her visual language. There are no captions or bubbles in Kripa’s comics. A purely visual journey, the only words one comes across are sounds. “I like to use Nepali sound effects,” Kripa says and then adds, “Like when a door shuts, I’ll say ‘dham’ instead of ‘bang’ or the sound the train makes is ‘kattak-kattak’.” These little notes add flavour and authenticity to her story lines and connect it back to her South Asian roots. Interestingly, in recent years, Madhubhani or Mithila folk art has become something of a rage with foreign art collectors. It was reported that even Michelle Obama bought a Mithila painting on her recent visit to India. A 2500-year old tradition, Mithila art covers the walls and ceilings of Mithila homes in Nepal and neighbouring Bihar, where the art came to be known as Madhubani. Traditionally, Mithila art was created anonymously by women and depict every day life in the village as well religious symbols, Gods and Goddesses. Kripa Joshi is the only artist who has successfully married this timeless traditional art form with the more modern genre of comics. Each comic is visually rich and narratively sound. 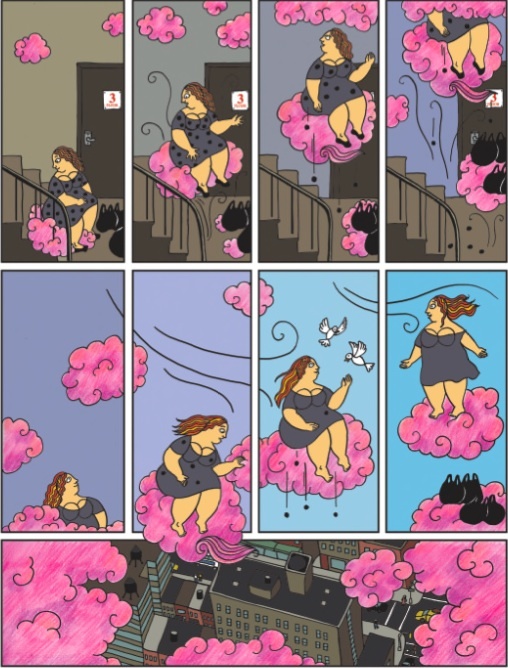 In Miss Moti and Cotton Candy, for example, Miss Moti faces the arduous task of climbing up a never-ending flight of stairs. Huffing and puffing, she pauses to catch her breath when she spies a young girl skipping up the stairs with a stick of cotton candy. Suddenly, her world transforms and the cotton candy, those great fluffy wisps of cottony pink, arrive like a chariot to carry Miss Moti away on an adventure in the skies. As always, once she returns to the ‘real world’, neither Miss Moti nor the reader can be sure if it was all really just in her imagination. 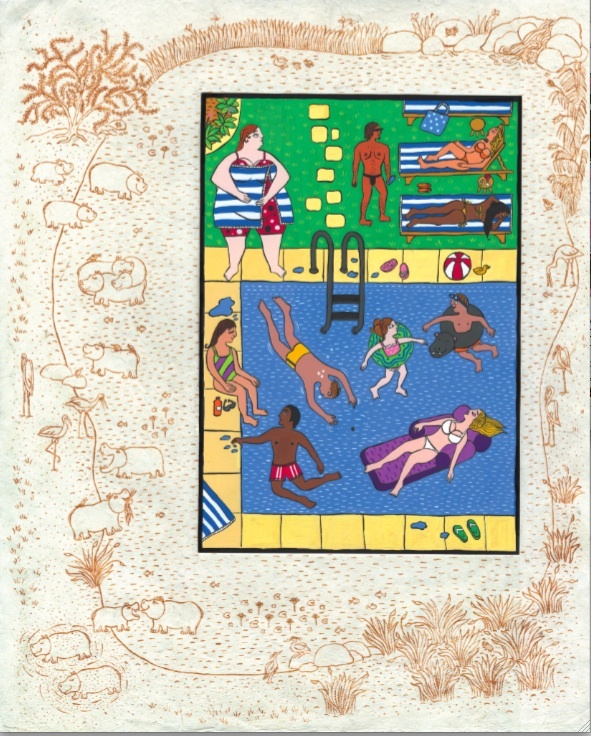 While Miss Moti has been received well in the artistic circles, it is not the only comic that Kripa has created. In an attempt to address issues that Nepali rural folk face, she created the comic Pass It Along– a short comic about sanitation. Besides that, she’s done several illustrations of children’s stories in her unique style. Some of the stories she has re-imagined are Edgar Allen Poe’s The Sleeper, The Ant and the Grasshopper and The Dog and His Shadow. Kripa’s work can be found at www.kripakreations.com and Miss Moti is at www.missmoti.com . She currently lives and works out of London. Saurav Mohapatra, best known as the author of the graphic novel series Devi and India Authentic is all set to release two new graphic novels in 2011: Mumbai Confidential– a noir-ish series about the gangster life in Mumbai and Dhurandhar – a supernatural story about a medium who performs one last task for the souls of the dead. 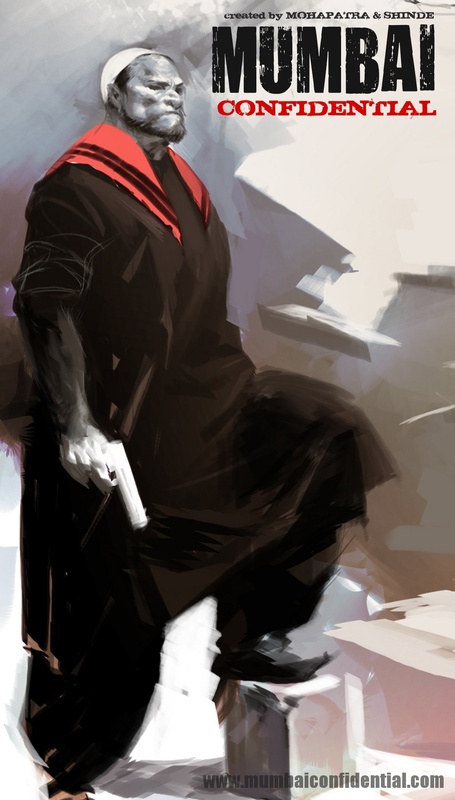 While Mumbai Confidential will only be available to the public in the summer of 2011, a preview one of the first stories in the series- Good Cop, Bad Cop is available for at download along with a a digital short Digital Short #1, set in the same universe. So far, the comic has been downloaded 1000 times and the short has been downloaded around 500 times. 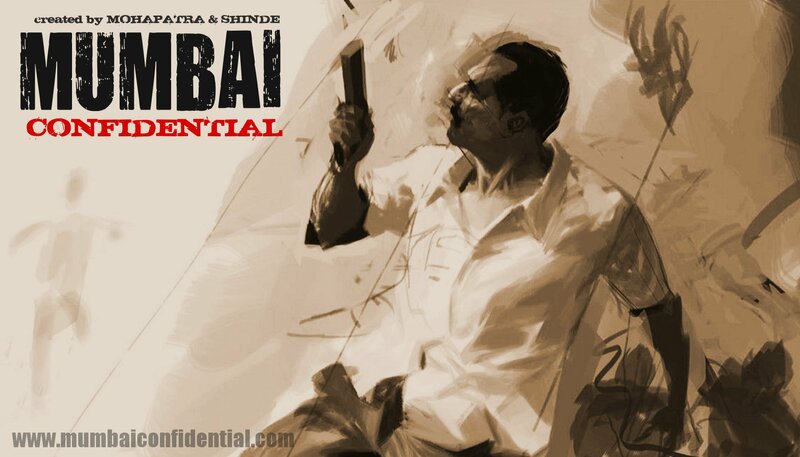 Mumbai Confidential also has its own Facebook and Twitter pages where fans can get a sneak peek at the creative process and keep up with the latest news. His advice to young comics writers and artists? “Go online,” he says. “Basically getting someone to read your pitch is pretty hard. Set your work up online, offer it for free and build your portfolio from there.” Solid advice considering how much for Mohapatra’s work in online, both his own and work done with Virgin Comics, are available as free downloads on his website. MALIK SAJID: Comics on life in Kashmir. Originally appeared in the New Indian Express on September 18,2010. In September 2008, a young political cartoonist from Kashmir found out that he was safer in his violence-torn, curfew-bound home state than he was in Delhi. When serial bombs went off in Connought Place, Malik Sajad was immediately suspected of being a “terrorist” simply because he was at a cyber cafe checking his website, www.kashmirblackandwhite.com. The website, featuring Malik’s graphic novels, cartoons (for the Greater Kashmir newspaper) and other art, gave the cafe’s patrons the idea that the young man looking at a Kashmiri website that was plastered with motifs of guns, had to have something to do with the tragedy unfolding in their city. Despite producing his I.D. card and informing the police who had come to take him away that he was an artist who had been invited to install his exhibit at Delhi’s Habitat Center, Malik’s voice went unheard. “I was terrified,” he confesses. 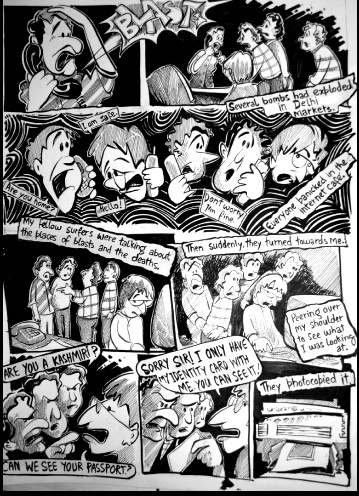 Prior to Terrorism of Peace, Malik wrote and illustrated another graphic novella- Identity Card, which was originally published in the literary magazine Caravan in 2008. Again, drawing from personal experience, the story follows a young man on his way home immediately after a person was killed in a “fake encounter”. Stopped at a checkpost, Malik showed the police his ID card but the police were reluctant to believe the young 19-year old was actually a cartoonist. To buy his freedom, he drew a caricature of Prime Minister Manmohan Singh to prove that he really was a cartoonist. More than that, Malik hopes his work will be a fresh voice speaking about the Kashmir issue. “No one really knows what Kashmiris go through outside Kashmir,” he says. Art, Malik believes, is another way of documenting history. “Using the visuals, you are using the heritage of indigenous artists to power the message which helps us preserve our heritage and also to innovate. Art also helps to provide an option on how to think about the conflict, and beauty and life of Kashmiris,” he explains. Currently, Malik is working on a new graphic novel titled Endangered Species. Explaining the idea behind the project, Malik likens the Kashmiri people to endangered species. The story itself speaks about the recent incidents of stone pelting, which Kashmiris have taken to as a form of protest. “In the last two months 65 people, mainly kids, have been killed. I interviewed many of the stone pelters and people and the story is their emotion, their demands, their pain,” he says. An artistically experimental piece, Malik is replacing his characters’ human faces with that of the Kashmiri Stag or hangul- the national animal of Jammu and Kashmir. At 23, Malik’s youth belies his experience and maturity. His unique voice and position as a young Kashmiri makes his stories all the more powerful and important. Originally appeared in The New Indian Express on July 31, 2010. The webcomic, which is updated every Friday, is illustrated by Sood’s friend and collaborator, Aron Bothman. “Just like Ganesha was Vyasa’s scribe, this 27-year old gay Jewish dude is my scribe. 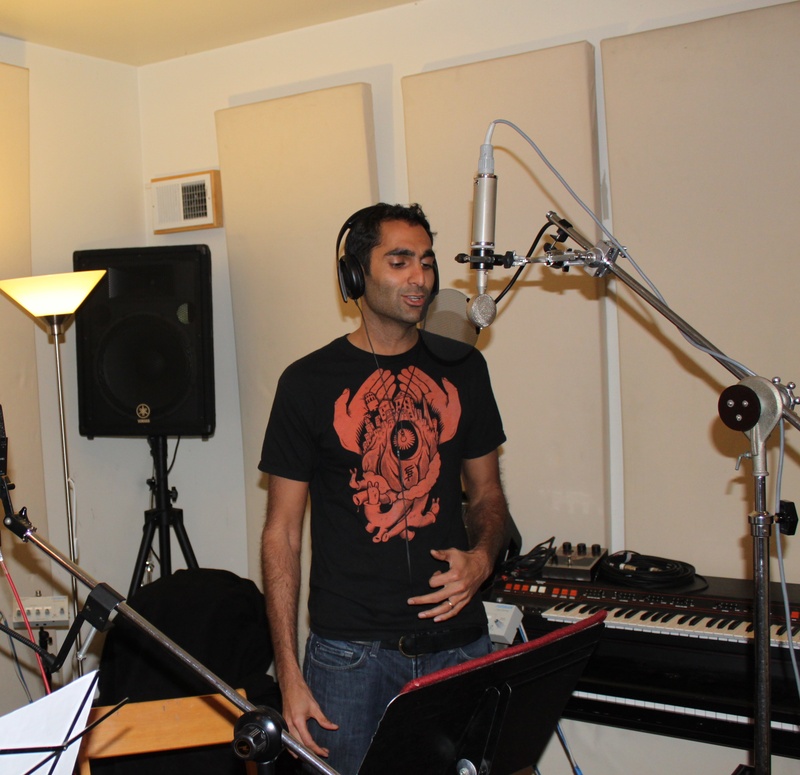 Perhaps Aron is a reincarnation of Ganesha,” Sood jokes. 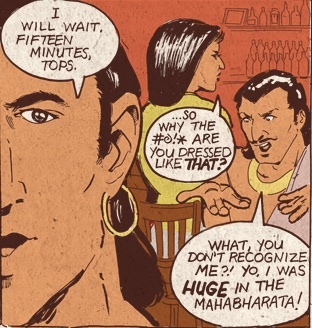 The comic follows the adventures of Dhushasana and his 50th brother, simply referred to as ’50’, as they navigate through modern day New Jersey. Sood says he chose the Mahabharata over the Ramayana because, “Ramayana is everyone’s favorite…it’s always Rama this, Sita that. Enough! I wanted to give the characters from the Mahabharata some publicity.” Besides, he adds, “the Ramayana people get all the parts in the Diwali play, while the Mahabharata characters (at least the ones who survived the war) are all unemployed.” Beyond this altruistic motive, Sood concedes that he has always been fascinated by the characters and stories in the Mahabharata. “It’s full of fantastic and absurd stories,” he says. Similarly Dhushasana and ’50’ were not chosen without reason. Sood’s main reasons for choosing Dhushasana is the character’s infamy- the fact that he’s known mostly for pulling Draupadi’s sari (which, of course, he never gets to end of); and also because his name can be shorted to ‘Dhush’, which in Sood’s comedic view is the coolest part. His earnest brother ’50’ is actually Gandhari’s 50th son- Chitrayudhaa. In Sood’s Mahabharata, Gandhari tires of calling her 100 sons by their long Sanskrit names and ends up referring to them in a form of numerical shorthand. Originally appeared in the New Indian Express on June 19, 2010. There’s a podcast of Aabid Surti online. A legendary artist, painter and creator of the much beloved comic, Bahadur, Surti hides a smile behind his beard as he flips through his new book, Dr. Chinchoo ke Karname. Later, still hiding that smile, he lets it drop that there’s talk of reviving Bahadur, but this time as a web comic. Somewhere across India, a thousand fans are holding their breath. The podcast is the first of many to be released by Alok Sharma- an artist, writer, director and now producer of the soon-to-be-released documentary Chitrakatha: Indian Comics Beyond Balloons and Panels. The documentary, the first of its kind, attempts to showcase the rich history of Indian sequential art- from cave paintings in Hampi to modern day graphic novels. Switching seamlessly from Hindi to English, Alok narrates the documentary and interviews some of India’s most renowned comic artists. 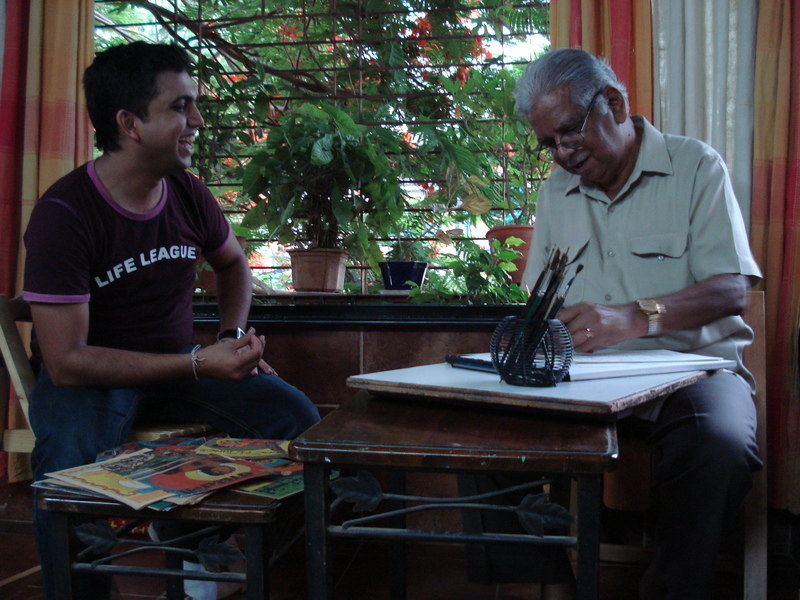 Produced in collaboration with noted artist Saumin Patel (Devi, Mumbai MacGuffin) and cinematographer Neeshank Mathure (Well Done Abba), the documentary is an attempt also to unmask the creators of India’s most beloved comic characters and afford the public a peek into the everyday lives of the artists and creators who brought them to life. “Creators in India don’t have the same fan following like those in Japan or America,” Alok says, outlining one of his reasons for making the documentary. Besides that, he’d also harboured the life-long dream of meeting his childhood heroes; the documentary was a perfect excuse. He spent five years researching the story and tracking down artists and creators scattered across India. “You could say I travelled from Meerut to Kerala, Kolkata to Mumbai,” he laughs as he reminisces about traversing the country in second class non-A/C coaches and shooting in trains. The documentary, now in its final stages of post production, features such legendary creators as Anant Pai (Tinkle,Indrajal Comics), Aabid Surti (Bahadur), and Pran (Chacha Chaudhari, Billoo), as well as the creative young minds of today like Mukesh Singh (Devi,18 Days) and Abhishek Singh (Ramayana 3392 AD, Kali: India Authentic). For the most part, the creators were happy to talk to Alok, but the most memorable interview for him was with the Late Govind Brahmania. “He didn’t even want to do it,” Alok says of the man who illustrated Bahadur; but eventually Brahmania consented. It was to be his first and last video interview as the renowned illustrator passed away shortly afterwards on December 9, 2009. Apart from gathering sound bytes from industry veterans, the documentary also explores the history of Indian art. “Sequential art is not foreign to India. It’s 100% Indian,” Alok says referring to pillar and cave paintings across India. While the art work there is rather ancient, they still tell stories about the human experience using pictures and images that occur sequentially in time. Indian or not, the comics culture in India has, however, largely emulated the west. Historically, the popularity of comics began with the publication of syndicated western comics such as Mandrake and The Phantom as far back as in pre-independent India. As the medium itself gained popularity, Indrajal Comics, India’s first comics company, was established in the mid-sixties. In 1967, indigenous comics were popularised by Anant Pai with the establishment of Amar Chitra Katha and with it, Pai came to be known as the ‘Father of Indian Comics.’ From the sixties through to the 21st century, the medium has gone through a lot of changes as each generation of artists had more material to draw from. “The third generation of artists working today are the luckiest,” Alok says because they have a potentially limitless pool of work, foreign and Indian, to learn from. 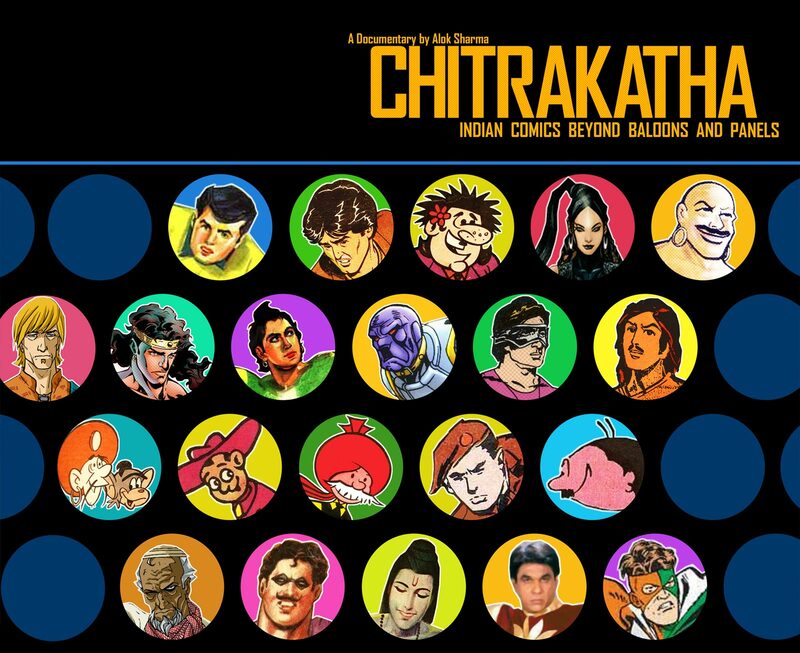 The documentary is sure to be a treat for comic buffs but Alok insists that “there’s a lot of masala in it for non-comic fans also.” Chitrakatha: Indian Comics Beyond Balloons and Panels will be released by the end of 2010, Alok hopes. Below is a rough-cut preview of his documentary. For Suhas Sundar and Shreyas Srinivas, the corporate world just didn’t cut it anymore. Four years in the lucrative IT industry in America had left Suhas dissatisfied. “I wanted to do something new…and soon. I just couldn’t imagine explaining to my wife and kids when I’m 35 that money is gonna be sparse for the next few years ‘coz daddy wants to print comics,” he says and laughs; sentiments echoed by his college buddy Shreyas who had been equally successful in the FMCG industry. The two friends had drifted apart geographically and career-wise but their common passion for comics and graphic novels kept them together. So when Suhas decided to nix his techie lifestyle for a career in comics, he knew Shreyas would be his perfect partner-in-crime (comically speaking, of course). Despite their lack of formal arts training, the duo had no qualms about entering the comics industry. In true entrepreneurial spirit, they recognised the demand for indigenous comics and the corresponding lack of supply. In early 2009, they met several artists through their network of friends. “We got together and talked about comics. Really geeky stuff; but that evolved into a kind of informal club,” says Suhas and the rest is history. Today, Level 10 houses four artists- Vivek Goel, Santosh Pillewar, Harsho Mohan Chattoraj and Deepak Sharma, along with Vijayendra Mohanty-a journalist and blogger who is also currently writing the graphic novel Ravanayan with Vivek Goel. Apart from these studio staples, they also work with an extensive network of freelancers across the country. “Oh, and there’s Keshav-the tea guy,” Suhas adds. “Keshav”, an amorphous entity, gets a credit in every issue. Like his peers in the industry, Suhas isn’t keen on re-telling mythologies. This is a trend most visible amongst the young, upwardly mobile Indian who wants to look forward rather than backward. “There are so many more stories to tell,” Suhas says. “So we tried to come up with three stories that were diverse and unconnected to one another and then try to develop them as a series.” The process of creative collaboration led to three concepts: The Rabhas Incident, a dark noir-ish story about zombies, set in Bangalore; Northern Song which follows a demon hunter through lands inspired by Indian mythology and finally, Shaurya, a tale of five teenagers with super powers set in Mumbai. While The Rabhas Incident and Northern Song deal with villains that are supernatural, the antagonists in Shaurya are much more real: terrorists. The voting system will be a good indicator of stories that work and those that don’t and the team at Level 10 plan on issuing each series as a graphic novel at the season’s end. “The way we see it is that the magazine is like a quick fix on a monthly basis but the graphic novel has more shelf life.” The graphic novel at the end of the seasons works like a special edition DVD set: it come with extra features: an inside look at the series’ creation, thumbnails, sketches, bios etc. More importantly, the voting system allows for fresh ideas to become part of the magazine. “We’re open to receiving pitches from anyone for new series,” Suhas says but cautions that he’s “not really interested in mythologies because we feel we can do so much more. 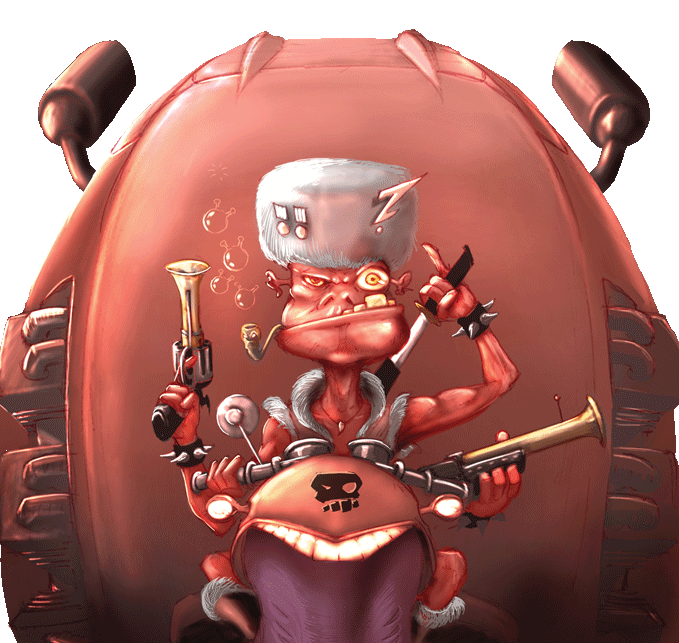 As for pitches, we want complete pitches, a one or two page treatment and some character sketches. Send it to submissions@level10comics.com.” Suhas is open to the idea of pairing writers with in-house artists if the team likes a pitch and unlike most fledgling comics, Jump Magazine does pay its contributors. 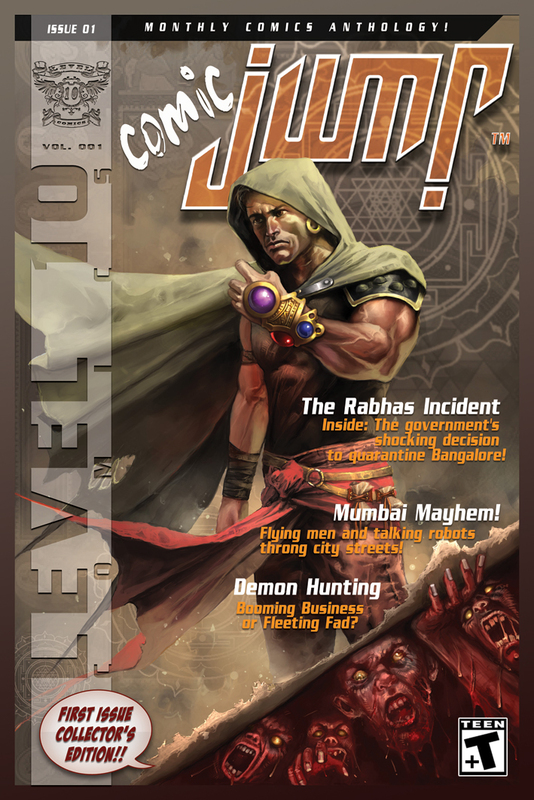 Level 10 will also be the first comics company in India to give creator credits. The Rabhas Incident is a good example. Although the story was written by Suhas, it was illustrated by Harsho who created the visual word as seen in the comics. For his input, Harsho gets co-creator credit. This is true of all three stories where artists and writers share credits. “We don’t have a manga situation where the writer also draws the story,” Suhas says. “So each story is broken into writers, artists and colourists.” They are, however, willing to print ‘creator-owned’ titles. In this case, the creator is not paid but is remunerated through profit-sharing. The creator also gets to keep copyrights and royalties from reprints. At 27, Suhas Sundar and Shreyas Srinivas may be young but they’re certainly not green. Leading a team of young entrepreneurs, all under the age of 30, Level 10 Comics is poised to take the comics world by storm.